People’s Republic of China (PRC), a country in Eastern Asia bordering Afghanistan, Bhutan, Burma, India, Kazakhstan, North Korea, Kyrgyzstan, Laos, Mongolia, Pakistan, Nepal, Russia, Tajikistan, and Vietnam has a total land area of 3,704,427 square miles and a population of close to 1.25 billion. China with its very diverse terrain with plateaus, plains, rivers, grasslands, hills, mountains, and deserts has two major eco-zones. Its environment though, is rapidly deteriorating due to its highly energy-intensive economy with water, air and soil pollution being rampant. While its economy is labeled middle-income it cannot be denied that its political system has managed to pull hundreds of millions of people out of poverty by being the low-cost producer for manufactured goods. The undervalued exchange rate of the Chinese yuan has irked many of its major trading partners. It is the largest trading power behind US and is also the largest foreign holder of US public debt. PRC is the fourth most visited country in the world with spring and autumn being the favored time to visit weather-wise. The Chinese New Year which happens earlier in the year is a major draw-card for tourists. The major attractions include the Great Wall of China, The Forbidden City, The Bund, Terracotta Warriors, Li River, Potala Palace, and the Yellow Mountain. Chinese cuisine is enjoyed the world over. But in PRC at certain levels it is more like art. The dishes are cooked with less meat and more vegetables. Their method of cooking vegetables under high heat for a short time is absorbed by other cultures now as it retains most of the vitamins and minerals. Soup and tea accompany most every meal. China DK Eyewitness Travel Guide 978-1405350358 $25 Introduction followed by region-wise coverage with beautiful illustrations. China Survival Guide: How to Avoid Travel Troubles and Mortiflying Mishaps by Larry and Qin Herzberg 978-1933330518 $10 192 pages of useful info for first-time travelers, especially those visiting less touristy areas. China: Beijing, Shanghai, Hong Kong and Tibet DVD B000ZI58KE $17 Excellent content ideal for first-time travelers. Narration is below par. The first stamps of PRC were a set of four stamps released on October 8, 1949. The set (Scott #1 to #4) is very affordable at around $7 MNH and a little less for used. The design shows the lantern and gate of Heavenly Peace (Tiananmen). Tiananmen, located in Beijing is a national symbol – it was the entrance to the Imperial City within which the Forbidden City was located. The lantern theme in the design signifies the popular lantern festival in China that officially ends Chinese New Year celebrations . China released a set of three stamps of August 1, 1950 to mark World Peace Campaign. The set (Scott #57 to #59) catalogs for around $33 MNH and $12 used. The design shows the Dove of Peace painting by Picasso in different colors. Picasso’s lithograph of a pigeon was chosen as the emblem for the World Peace Congress in Paris in April of 1949. Since then, the peace sign developed by the Campaign of Nuclear Disarmament and the simple V hand signal has become universal symbols of peace. China released a stamp on November 7, 1954 to mark the Russian Economic and Cultural Exhibition in Peking. The stamp (Scott #234) catalogs for around $9 MNH and $4 used. There is a slightly bigger variety that catalog for double these values. The design shows the exhibition building in Peking in single brown color with a cream background. China released a set of four stamps on December 30, 1957 to mark the Yellow River control plan. The set (Scott #326 to #329) catalogs for around $32 MNH and $4 used. The designs show Map of Yellow River Basin, Sanmen George dam and powerhouse, Ocean Liner on Yellow River, and Dam, Irrigation Canal and tree-bordered fields. Yellow River has changed its course 26 times in recorded history and many of these were major catastrophic events that earned it the nickname “Sorrow of China”. A set of three stamps released on July 10, 1962 to indicate ‘Support of Cuba’. The set (Scott #615 to #617) catalogs for around $115 MNH and $25 used. The designs show Cuban soldier and flag, sugar cane worker, and militiaman and woman. In the 1962 Cuban missile crisis that involved US and Russia, China was a player as well and announced it will support Cuba “through thick and thin”. A long set of sixteen stamps released on October 15, 1963 showing Huangshan Landscapes. The set (Scott #716 to #731) catalogs for around $400 MNH and $100 used. The Huangshan mountain range in south-eastern China has beautiful scenery that makes it a frequent subject in photography. 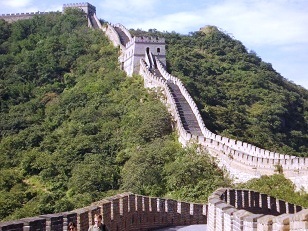 It is also a UNESCO World Heritage Site and one of China’s major tourist destinations. The set reflects the beauty of the landscape. A stamp released on November 30, 1968 showing the Directive of Chairman Mao. A number of similar sets were issued in 1968 as part of a campaign to elevate Mao Zedong to a god-like status. The stamp (Scott #999) catalogs for around $50 MNH and $20 used. The stamp is significant because of the existence of another stamp in the same theme (Scott #999A) that shows the map of China with the Chinese inscription “The entire nation is red.” This stamp was issued but withdrawn almost immediately as the authorities realized a huge blunder – Taiwan appears white instead of red. That stamp is very rare and catalogs for $15,000 MNH and $9,000 used. A set of four stamps released on December 23, 1974 in the Industrial Products theme. The set (Scott #1211 to #1214) catalogs for around $80 MNH and $16 used. The designs show water-cooled generator, motorized rice sprouts transplanter, universal cylindrical grinding machine, and open-air rock drill. A set of four stamps released on December 19, 1996 as a precursor to the scheduled handover of Hong Kong to People’s Republic of China. The set (Scott #2741 to #2744) is remarkably inexpensive at about a dollar. The designs show Hong Kong skyline, Bank of China, Container Terminal, Kai Tak Airport, and Stock Exchange. China has a history of issuing coins as far back as 400 BC. The first issue was the coin that looks like a knife in the city of “Ming”. It has a hole at one end to enable stringing. Many of the early coins are in the market and are still remarkably inexpensive at less than $50. The Pan Liang introduced around 140 BC are the first coins of China that looks somewhat like modern coins, although it had crude designs and a square hole in the middle. That design would continue to be used for another 2000 years until 1911 AD. These coins are even more inexpensive trading for around $5. Over the years, a number of varieties were issued and some of them are rare and can fetch a sizable premium. Ancient Coins $1 and up Ancient square holed bronze coins start around $1. Varieties such as Zhi Ping, Manchu Dynasty jade and copper coins, etc start around $10. Early Knife coins start around $20. Rare varieties go into the 100s. Authentic Silver Sycees go into the 1000s. Bullion $10 and up Recent Lunar and Zodiac themed Colored Silver Coins start around $10. Silver proofs from the 2000s start around $20 – Panda silver proofs fetch a premium. Panda Gold Bullion 1oz and above go well into the 100s. Other Coins $3 and up Copper coins from the early 20th century start around $3. Large themed gold and silver plated recent coins start around $10. Yunnan Dragon Half Dollars in VF, Yuan Proofs from the 1990s, etc start into the 100s. Paper Money $1 and up UNCs from the 1980s onward starts around $1. UNCs from the 1930s and 1940s start around $10. Z1 replacements, Commemorative banknotes from the 90s etc start around $50. Early specimens and bundles go into the 100s. Visitors indulge in silk, tea, antiques, arts, crafts and medicine material when shopping for souvenirs. Art $1 and up Vintage look posters start around $1. 19th century photo prints start around $10. Originals start around $100. Original Ink Paintings go into the 1000s. Antiques $1 and up Snuff bottles start around $1. Hand painted pottery, vases, etc start around $50. White Jade Curios can go well into the 1000s. Crafts $5 and up Copper charms start around $5. China Silk and other fabrics start around $10. Fine bone china curios and embroidered silk items start around $50. Jewelry $5 and up Loose jade and glass beads start around $5. Turquoise ear-rings, bone china brooches, etc start around $10. Polished semi-precious items on gold base start upwards of $50. Mineral & Semi-precious Specimens $10 and up Smaller mineral specimens start around $10. Large (over 1 lb) semi-precious mineral specimens can go into the 1000s.